Zambia is set to become a top provider of clean energy via solar in southern Africa, second only to South Africa. This is as a consequence of a more than 100-megawatt power boost to the grid in partnership with Development Bank of Germany known by its acronym KFW said Zambia’s Ambassador to Germany His Excellency Anthony Mukwita. 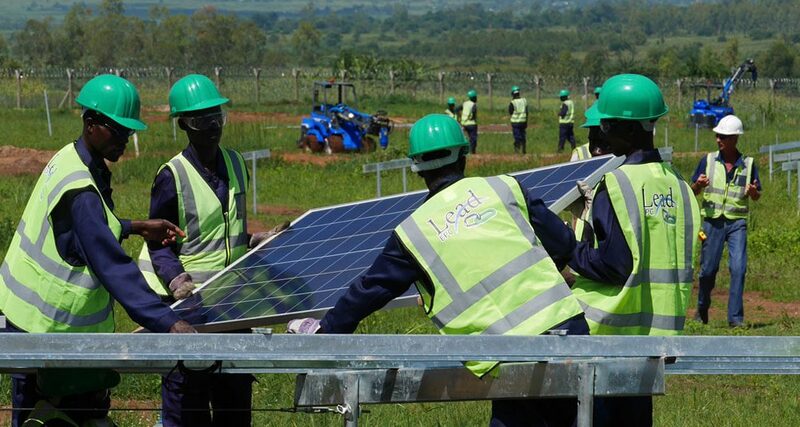 Mr Mukwita was citing a statement from the GET FIT secretariat posted on their website this week which also reveals that some six companies have been finally given a greenlight to independently implement the solar power project asap. The GET FiT Zambia project initially targeted 100MW of solar energy output but has since ended up with 156MW of peak installed capacity for Zambia. “This will go a long way in narrowing the energy deficit and further increase economic production in various sectors such as agriculture because energy is key to turning the economic wheels of our country,” said Ambassador Mukwita. GET Fit secretariat cites KFW programme Manager Mr Marco Freitag stating that the zeroing in on the final list of six companies worked well for Zambia and ZESCO, the state power utility. “The tender results are extra ordinarily favourable for the Zambian people and ZESCO,” said Mr Freitag. Zambia becomes the second country to partner with Get Fit after Uganda with KFW advising the government on how to proceed efficiently. In 2016, Zambia suffered a severe shortage of energy after water levels at Lake Kariba dropped drastically as a consequence of Climate Change. Zambia depends largely on hydro electricity and therefore suffers shortages in times of droughts. President Edgar Lungu’s government instead of blaming weather patterns opened the energy sector up and paved way for the gradual removal of consumption energy subsidies. The challenge now according to Get FiT is to get the companies to sign Power Purchase Agreements and Inter Governmental Agreements with ZESCO and the government of President Lungu. There is more good news, GET FiT Zambia has also started a new tender on hydro electricity production to continue narrowing the energy gap said Ambassador Mukwita. “Zambia is definitely on the right path regarding expanding the energy sector and making it kore accessible to the larger community and KFW and Zambian entities ought to be commended for this,” said the senior diplomat. Zambia has a power a power deficit of almost 2000 megawatts that need to be plugged in order to optimise agriculture and mining activities, including domestic ones such as running salons and barber shops said Ambassador Mukwita. With the various energy projects the government has embarked upon, Zambia could be an energy giant in less than 10 years in Sub Sahara Africa according to Ambassador Mukwita. The Get FiT Zambia is currently worth about US$100 million.